Did you know that Stevie once helped Faith out financially? 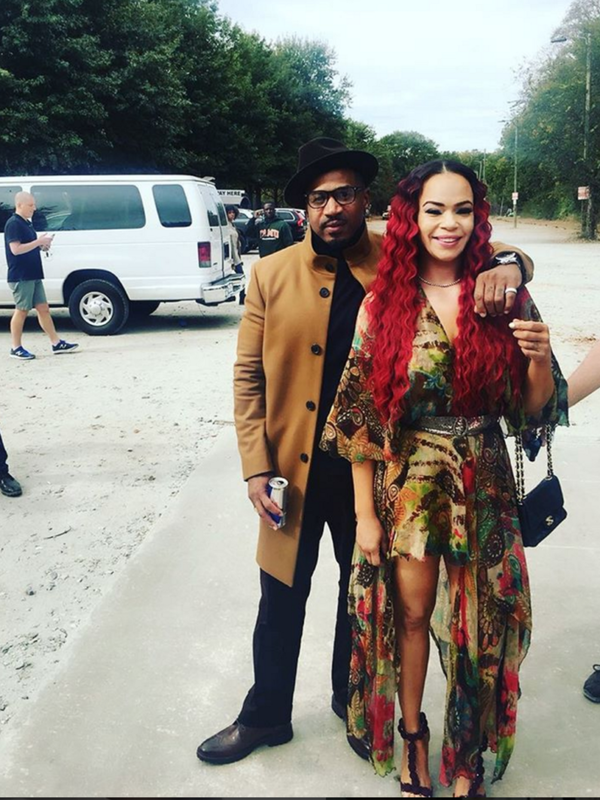 Stevie J dropped some major news during his “Breakfast Club” interview and most importantly confirmed that he is indeed in a relationship with the “First Lady of Bad Boy” Faith Evans. Here’s what we know about their relationship (which everyone’s talking about right now) so far. During his “Breakfast Club” Interview, Stevie shared that he and Faith have known each other for quite some time having both been in the music industry since the 90s. 2. They met during Faith’s Bad Boy Days and he once loaned her money. In the height of the Bad Boy era, Stevie worked as a mega porducer on some of the music empire’s tracks and even helped Faith out with a $75,000 check when she hit a financial rough patch. Throughout the Bad Boy Reunion Tour, Stevie and Faith were by each other’s side including during the headlining stop at ESSENCE Fest 2016. They both shared images from their time on the road and in the studio together. Well I guess it's Ooouuu…(in my Young MA voice) #TiptoeinginTampa with @hitmansteviej_1 #BadBoyFamilyReunionTour #teamfizzy #teamprolific #charmflowersgroup #TKAI coming soon! 4. They are still in the “new” stages of their relationship. While their friendship has been long lasting, Stevie and Faith are definitely still in the honeymoon stages of love, as he stated on “The Breakfast Club” interview.